Get your beautiful curls glowing by using Batia and Aleeza Hair Products. The perfect combination of Shampoo, Conditioner, Gel, and Hair Mask! This will make your life so much easier when it comes to your hair. 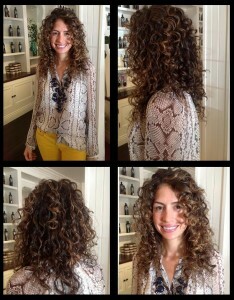 Annie Joubran was super happy and in love with her hair all over again! Call us for products and services!